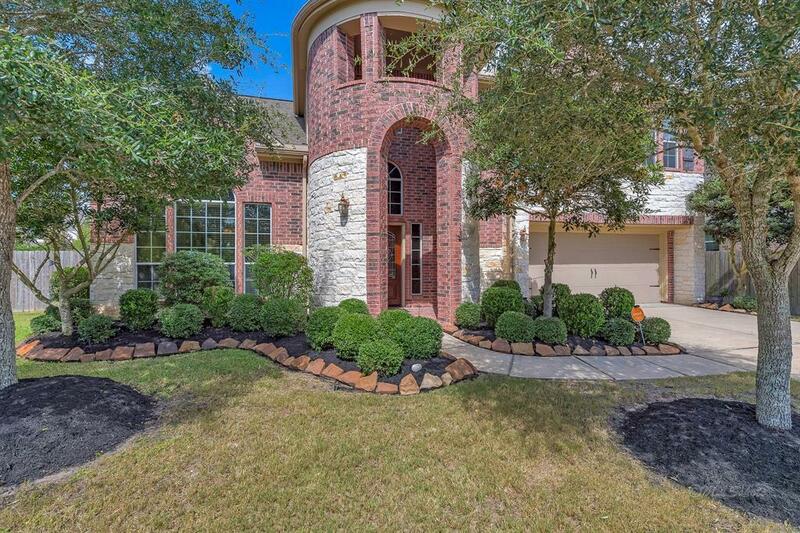 This beautifully decorated, & immaculate Taylor Morrison home w/ a bit of Tuscan flair is ready! The craftsmanship shows before you even walk in the door. 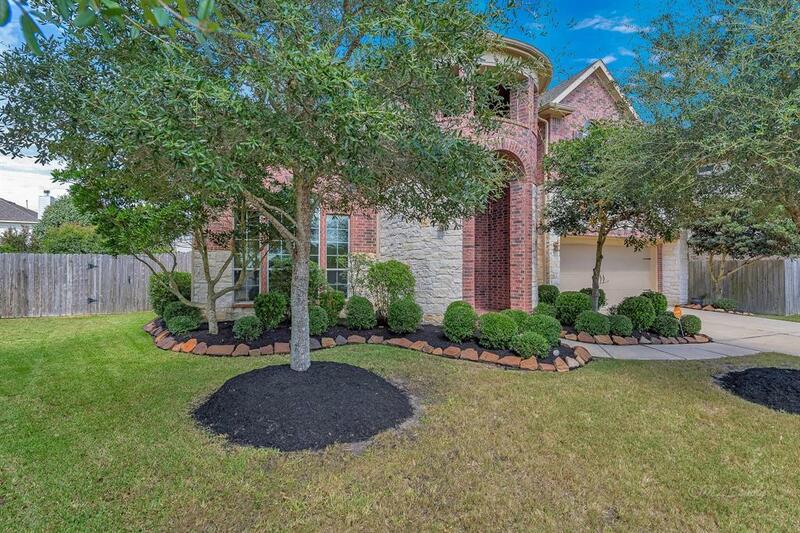 From the turret style front porch, limestone accents and barn-style garage doors to the lush, painstakingly installed mature landscaping... everything tells you that you're about to be impressed. Inside, you'll notice the designer touches - custom paint, classic wallpapers, wrought iron staircase spindling & soaring ceilings. 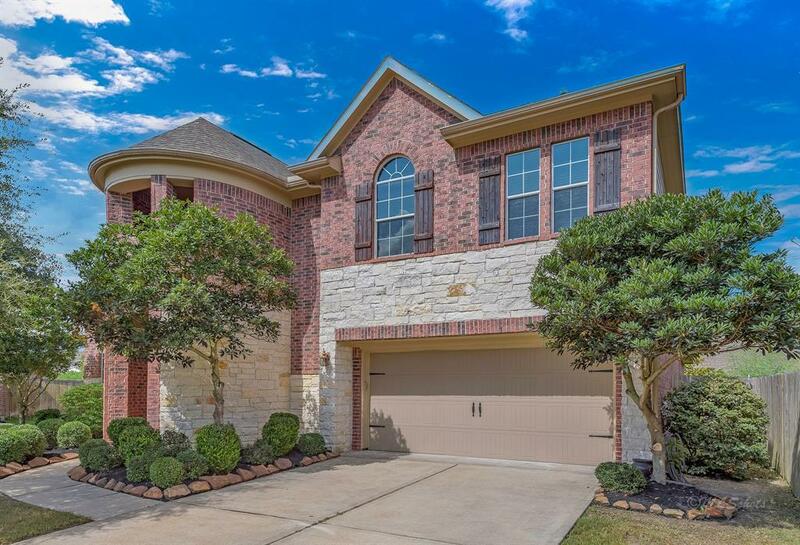 2" blinds, custom window coverings, porcelain flooring, wood flooring, granite countertops, tile backsplashes, 42" cherry cabinetry, & stainless appliances are sure to thrill. You'll love the deco pantry door! The kitchen even features a computer nook and drawers. Notable upgrades include custom lighting, wine grotto, automatic light switches, NEST programmable thermostats, and an oversized media room. 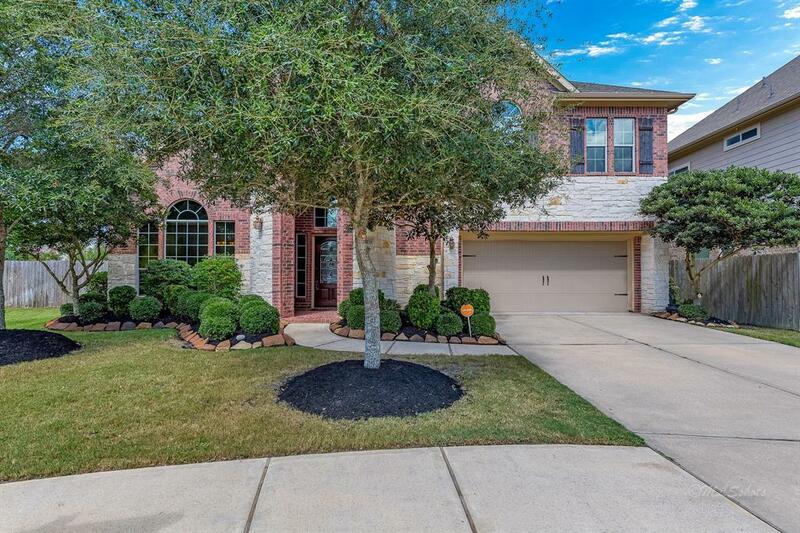 Step outback and find a great covered patio and a massive, pool sized backyard!